Our years in the cue sports business producing fine pool, billiards, and snooker tables taught us a lot. We didn’t develop our sterling reputation for excellence in craftsmanship alone. It also stemmed from an appreciation for the clientele behind the tables themselves. Our clients taught us that not every single games room revolves around cue sports. As our offerings have expanded, we’ve enjoyed being able to branch out to other activity equipment as well! What’s in the cards for your game night? Poker and card games aren’t for everyone. There’s a personality poker in particular meshes with, even competing for play-money. We encourage everyone to try gambling on our beautiful creations if they’re up for it though, poker or not. One thing we’ve learned is never to gamble on the quality and intricacies of creations. Though everyone has at one point or another had a wobbly or creaky card table, it takes away a lot from the game. 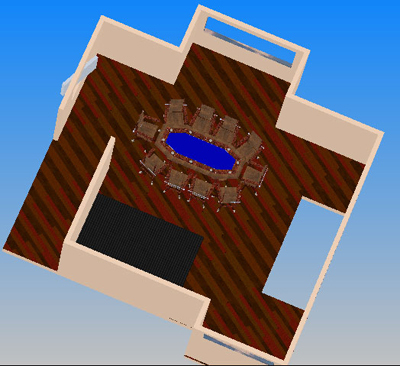 No matter what your specific vision entails for your dream card table setup, we’re interested. 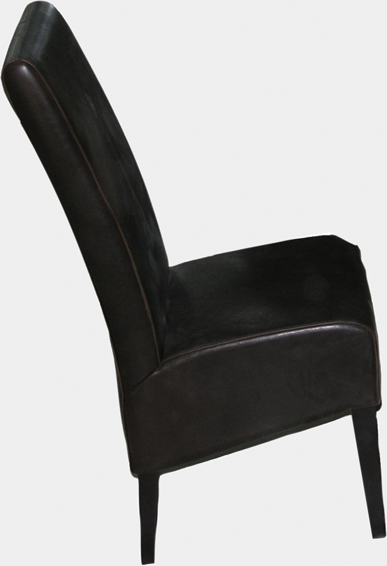 If you’re looking for a spectacular design, extra-large sizing, or custom storage, we’re doubly-interested. Each of our card tables tells a story right from the outset that you and your guests will be able to cherish for years to come. Getting the perfect table needn’t be so hard. 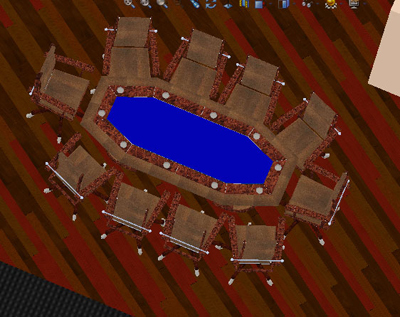 One of our proudest poker table creations actually doubled as a dining room table. 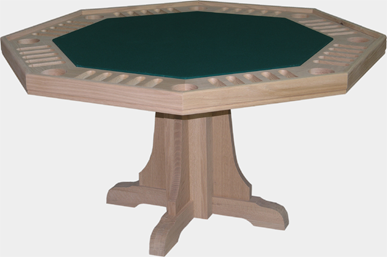 It featured an extra top that could turn the surface into a poker setup with chip slots and felt. This ensured the table would work for both players and dinner guests alike often in the same evening. Dinner activities and poker/card games are only the beginning as well. We’ve also worked on other custom games crafted from fine woods and materials. Shuffleboard in particular is one we’ve received requests for in the past. 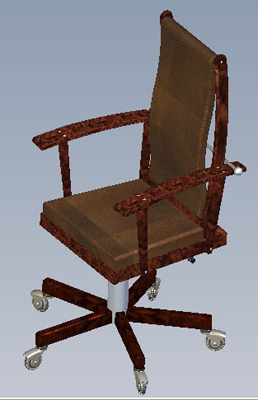 We’ve been lucky to have been recognized for our accomplishments in game furniture and a myriad of accessories as well. To hear praise and admiration from game lovers of all sorts is encouraging for us. If you’ve got a game in mind you need equipment or playing surfaces for, we’d be up for discussing new types of projects! Getting more from your games starts here. Ourselves, we’re big proponents of ensuring each one of our table/card games is a success. 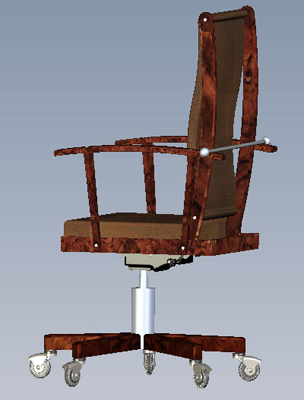 Our design time won’t skimp on the details or the finishing touches. Though cheap tables are almost always made from particle boards and low density foam, we prefer to start with premium materials. The icing on the cake for us is favoring top-notch beautiful decor in any seating or lighting fixtures to complement the table. 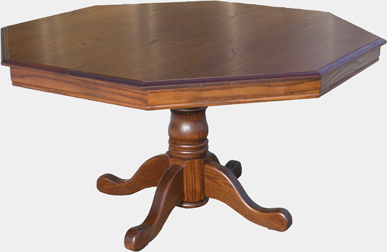 This includes not only the playing surface itself, but also the wood top and pedestal the table itself is made from. 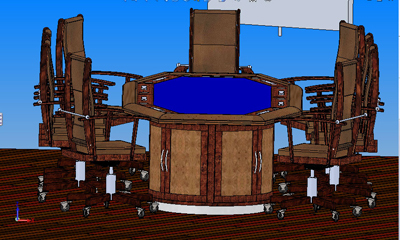 We full-well realize that custom poker tables aren’t for everybody. We don’t mass produce them nor could we given each piece itself is so unique and special. Plus, if that’s not your game, don’t count us out just yet. We’ve built custom cabinets, racks, and accessories for all sorts of games. That’s part of why we don’t build them for everybody. 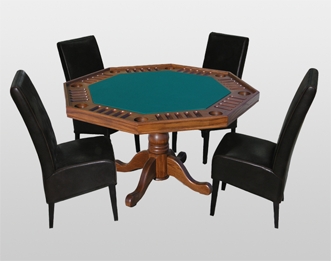 If you’ve got an exact idea of the finish, size, materials, and build quality you want from your next custom poker table, you’ve come to the right place. We encourage you to get in touch with us when you’re ready to get started on your dream setup.